Okay, so I didn't challenge anyone with yesterday's post, but being tired from another 400km of driving today, I'll post another “What am I?” quiz today, of a photo I took this afternoon. I expect this one will be a tad more formidable, but as is often the case, the image metadata provides valuable clues to the answer. Hmmm ok… You definitely got a more challenging thing going on with this one. Is it the leaves of a bamboo fan tightly closed up? Must be a product of the Asakura Towel Museum. Telling from the coordinates …. OK – not a fan. Is it noodles being made? 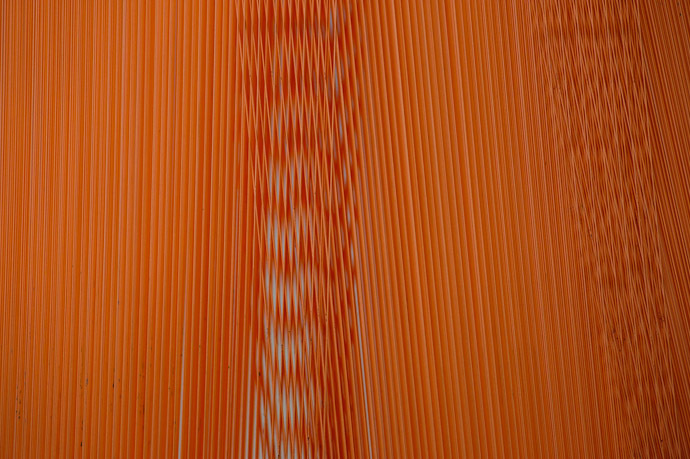 Looks like threads in a loom. I am going with the back of a Violin or Guitar. 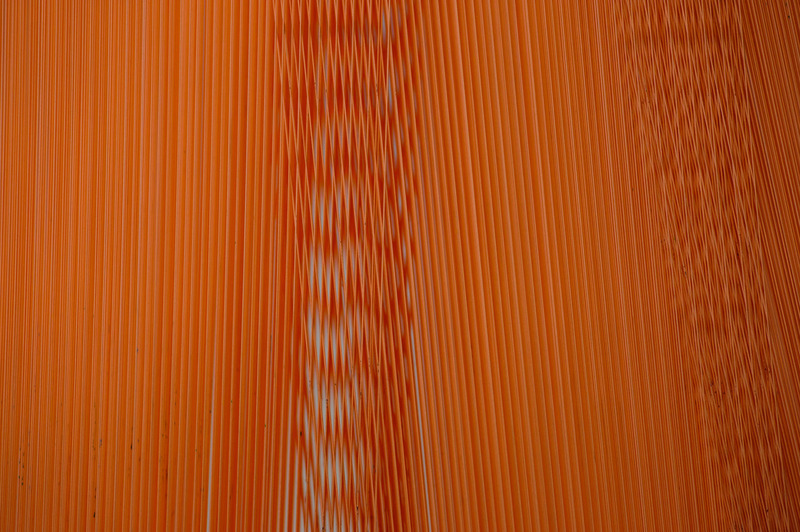 Looks like fiber on loom. The answer is revealed on this post.